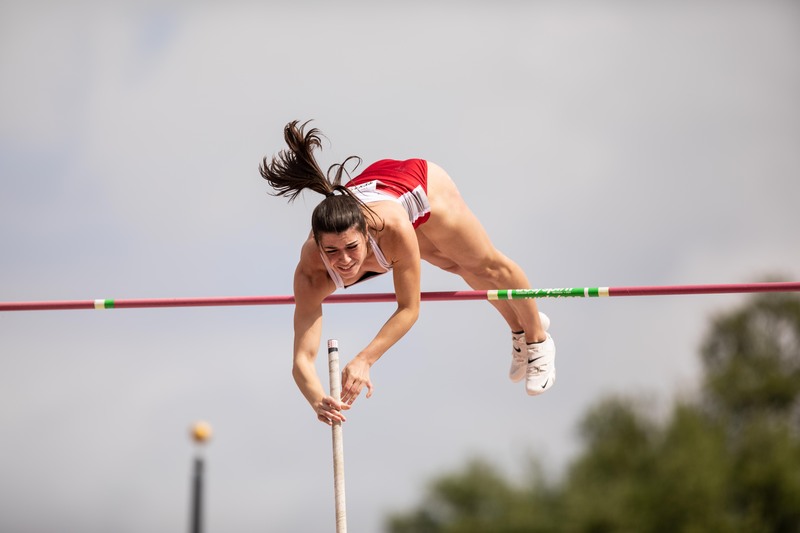 The Bryan Clay Invite provided a strong showing of the Coyotes’ field event athletes in Azusa, Calif., Apr. 15. Senior Crystal Schiernbeck won her section of the javelin throw with a toss of 112 feet 2 inches, while junior Kenna Wolter also won her section of the triple jump, jumping 40 feet 10 1/4 inches. On the track, freshman Tansha Clarke won her section of the 200-meter dash, running a time of 26.49. Junior Cody Linder jumped 22 feet 1 inch for second place in Flight 2 of the men’s long jump. Linder also placed fourth in his section of the triple jump with 46 feet 10 1/4 inches. Junior Christina Roberts placed second in her long jump flight, jumping 17 feet 8 3/4 inches. In the throws, freshman Cody Snyderplaced second in his section of the discus, throwing 159 feet 5 inches, and senior Jasmine Mosley placed second, throwing 164 feet 5 inches in the hammer throw.